On the eve of her only daughter, Princess Raven's wedding, an aging Snow White finds it impossible to share in the joyous spirit of the occasion. Things could not be better, in fact, except for one thing: the king is dead. Meredith writes a very interesting take on what happens once the fairy tale is over. I'm sure we've all often wondered what happens after the happily ever after. Snow White is in a state of grief after the king's passing; unable to join the joy and excitement of her daughter's wedding plans, she flees to a disused room in the castle and comes face to face with the mirror of her step-mother, which forces her to confront the parts of herself she'd been suppressing. The use of the mirror as a plot device is clever, as it allows us to see Snow White's past and understand her position. Meredith sagely leaves out the parts we already know, such as meeting with the dwarves and the poisoned apple, and instead fills in the gaps marvellously in order to paint what has to be a very bleak and melancholy picture of Snow White's life. Many of the scenes shown to Snow White through the mirror are harrowing and traumatic. Her love for Charming shines through in most of these, and the depth of her mourning quickly becomes clear. His station in her life was an important one, and their relationship was strong. Her melancholy seeps through the pages, and we're forced to feel this with her, willing her out of it at each change of vision. Charming is characterised as a real hero, saving Snow White's life initially, and then helping her out of a number of predicaments as their life together rolls on. Although this reinforces her incapability to cope without him, I would have loved to have seen a more badass Snow White in the flashbacks. At times she came across as a useless damsel in distress, which is never something I particularly enjoy. As unlikeable as I found her, however, her journey through sorrow was impactful, and my heart went out to her. I would have liked to have delved deeper into the lives of the dwarves, and would have loved more clarity on the fate of the step-mother, Arglist. Her doom felt swept under the carpet, perhaps due to Snow White's suppression of it, however I feel this is something that could have made a real impact in the novel. 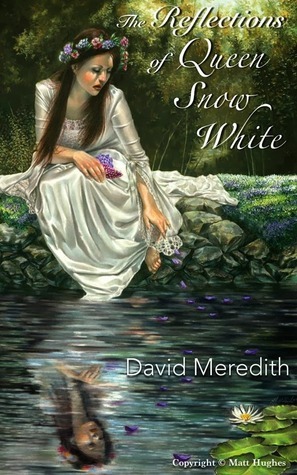 An enjoyable, but incredibly bleak, view on Snow White's happily ever after; I'd like to thank David Meredith for sending this to me in exchange for a review.